President Barack Obama‘s “pivot” on jobs this week shows that the president has finally — if belatedly — acknowledged the real misery caused by the Great Recession. However, it does not shed his complicity in the ever deepening employment crisis. Unemployment remains high, exceeding 9% — 16% if you include part-time workers. The percentage of adults in the workforce is bouncing near a 30-year low. And according to a recent Gallup Poll, barely one-fourth of the American public approve of the president’s economic policies. Over the past three years, President Obama has done a remarkable job of undermining three very different ideals: progressivism, capitalism and moderation. Progressivism, his own brand, has taken the biggest blow, which may be why so many progressives — particularly environmentalists — have been so critical of their chosen candidate. Progressivism’s golden day seemed to have arrived with Obama’s election. But the progressivism embraced by the president was not the middle-class-oriented, growth-inducing kind associated with previous Democrats. Instead, Obama’s progressivism was shaped by his fellow academics, who have enjoyed unprecedented influence in this administration, as well as closely aligned classes such as affluent greens, urban land interests, venture capitalists and the mainstream media. 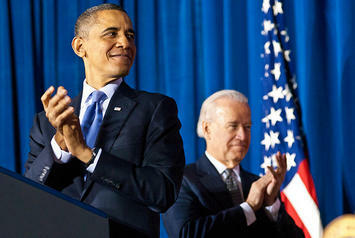 Expressing the world view of the well-heeled, Obama’s progressivism did not focus on class mobility and economic growth. The old progressivism’s program was bold and opportunity-oriented: increasing energy supplies (think Tennessee Valley Authority) and encouraging industrial growth through building critical new infrastructure. The tragedy is that Obama could have done things differently. A new variation of the Works Progress Administration, for example, would create hundreds of thousands of jobs for the currently unemployed, particularly those under the age of 25. At the same time, it would have created a legacy of tree-planting and road, port and bridge construction, which would have impressed voters of all kinds by actually producing tangible results. Think of all the bridges, public facilities and art bequeathed to us by WPA. Instead Obama’s regressive progressivism strangled blue-collar sectors of the economy. Many of his key policy initiatives, particularly in the health and environmental areas, scared businesses from expanding their operations. Similarly, Obama’s much ballyhooed “green jobs” have proved an expensive bust. Environmentalists Ted Nordhaus and Michael Shellenberger note there are fewer “green jobs” in Silicon Valley, the industry’s supposed hot bed, today than in 2003. The recent bankruptcy of California-based solar-panel maker Solyndra — recipient of a $500 million federally guaranteed loan — represents just the first of a series of government-backed failures. The traditional left is also increasingly persuaded that Obama’s policies have been better for the silk stocking set than the lunch pail crowd. Banks and high-end finance capital have been the biggest beneficiaries of Obama, a peculiar accomplishment for a nominally progressive administration. Wall Street’s subsidized ride to profits — courtesy of TARP and the Bernanke-Geithner fiscal policies — has helped a relative handful of investors and brokers to enjoy record pay in 2009 and 2010. These failures have downgraded the chances for another big stimulus — the prescription most favored on the left — to all but impossible. But left-wing ideology hasn’t been Obama’s only victim; he has also delivered a body blow to the ethos of capitalism itself. For decades conservatives have preached that if we made capital available through a soaring stock market, business would then spend its bounty by reinvesting in the country’s productive capacity. Yet even as the market boomed over the past two years, very little has reached Main Street businesses faced with middle-income customers too skittish to buy their goods and services. Obama’s most recent fetish, moderation, also is proving something of a bust. Anxious not to be labeled anti-business, he has surrounded himself not with entrepreneurs but consummate crony capitalists — chief of staff Bill Daley (scion of the Chicago machine family), General Electric‘s Jeffrey Immelt and proposed Commerce Chief John Bryson, who has spent much time as a master manipulator for a large regulated utility. These figures have little or no credibility among grassroots businesspeople. They are seen as being more adept at working the system than succeeding in the free market. If this is what moderation is about, the public has good reason not to trust it. So having downgraded progressivism, capitalism and even moderation, Obama’s remaining hope lies in two things: the intrinsic strengths of the U.S. economy and the well-demonstrated ineptitude of his political rivals. He may have helped his cause — to the consternation of his green base — by restraining EPA emissions rules and opening some areas for oil exploration. This could help supercharge the nation’s energy industry, which has added 250,000 new, high-paying jobs since Obama’s election, mostly across the energy belt from Texas to the Dakotas. Unencumbered by some of the more draconian EPA rules, America’s increasingly competitive manufacturers should be able to continue boosting exports. The U.S. also retains a big edge in industries from agriculture to software. Just do less egregious harm, and perhaps the economy will come back some on its own. And then there’s the gift that keeps giving: the Republican Party. The GOP has no real economic strategy except to cut government and stop higher taxes. Its record on enhancing class mobility, particularly under the Bushes, is less than exemplary; wages barely moved over the George W.’s first five years in office. To win this year, the GOP needs to convince enough middle- and working-class voters that it offers something other than a less refined version of the same old insider game, albeit without the annoying professorial rhetoric. In this sense, the recent rush of some former pro-Obama hedge funds to the GOP may represent more of a curse than a blessing since no one, short of Mitt Romney, wants to associate themselves too much with Wall Street. The party base’s obsession with antediluvian social views also works to the president’s advantage, since it distracts from a more economic focus that would work against Obama’s reelection . Overt religiosity and social-issue litmus tests are not the best way to win over suburban voters who turned so decisively on the Democrats in 2010. For three years President Obama has accomplished a hat trick of economic ineptitude that has downgraded the street cred of progressivism, capitalism and even reason. By all rights, he should be thinking about his profitable future as a post-presidential celebrity. But, for reasons having little to do with his own record, he’ll likely be entering a re-election campaign with a decent chance for another chance to screw up even worse. Photo courtesy of Barack Obama's Photostream.